Cablevision, the cable operator that is a stalwart of the New York metropolitan area, is being bought by Altice, a European telecommunications company. The companies said Thursday that Altice had agreed to pay $34.90 a share for Cablevision, making the deal worth $17.7 billion including debt. The price represents a 22% premium over Cablevision's closing price Wednesday. The acquisition was first reported Wednesday evening by the New York Times and the Wall Street Journal. Altice, well-known in Europe but not in the United States, has been seeking to expand its footprint stateside, and Cablevision will help do that. Shares in Altice gained nearly 7% in Amsterdam in early trade Thursday. The company said it was putting $3.3 billion of cash into the deal, while the remainder of the acquisition would be financed by Cablevision cash and debt. Cablevision (CVC) provides cable and Internet to about 3 million homes, mostly in and around New York, especially on Long Island. It also owns the Newsday newspaper and a suite of local cable news channels. Cablevision's CEO is James Dolan, the controversial businessman who also owns the New York Knicks basketball team. With the Altice deal, Dolan is handing control to a group of Europeans who also snapped up Suddenlink, a cable provider with 1.5 million homes, earlier this year. 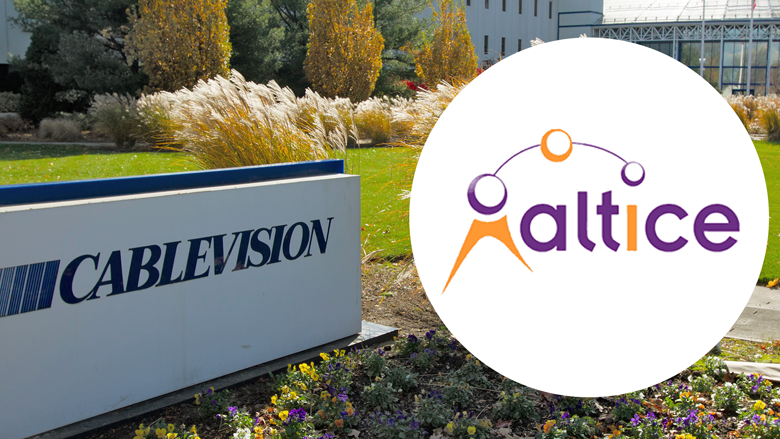 Together the Cablevision and Suddenlink acquisitions will make Altice the fourth largest cable operator in the U.S., with 4.6 million customers in 20 states. Altice estimates it will generate annual savings of about $900 million from "operating efficiencies and economies of scale." Private equity group BC Partners and the Canada Pension Plan Investment Board, which together own 24% of Suddenlink, have an option to take a 30% stake in Cablevision, Altice said. Altice was also said to be interested in Time Warner Cable (TWC) after Comcast's (CCV) bid fell apart. Charter successfully made a play for Time Warner Cable instead. The end result is a significant round of consolidation in the American cable and broadband business.